Save the Date – October 7! Invite a Guest! We’ve scheduled a fantastic speaker for October 7. You won’t want to miss this! Please arrive promptly by 11:30am, so we can start on time. PLUS MANY MORE IDEAS TO EXPLODE YOUR BUSINESS THIS YEAR! Steve Black can teach your team traditional sales skills, or cutting edge techniques to get more business. 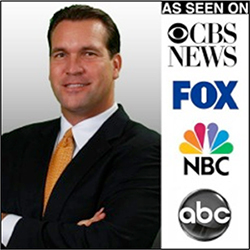 Steve is also regarded to be one of the nation’s best sales trainers and public speakers. Having worked with Tom Hopkins and Brian Tracy for almost 20 years, and spoken to over 500,000 business people… he really knows his stuff. Get ready to increase your team’s productivity!